8 - His birthday, his birth month, and his lucky number. There are eight 8s engraved around the handlestall. New Record - 1300 is engraved on the big cup to represent the points So scored at KWC2017. This score gave him the win, and a new highest score in KWC history. 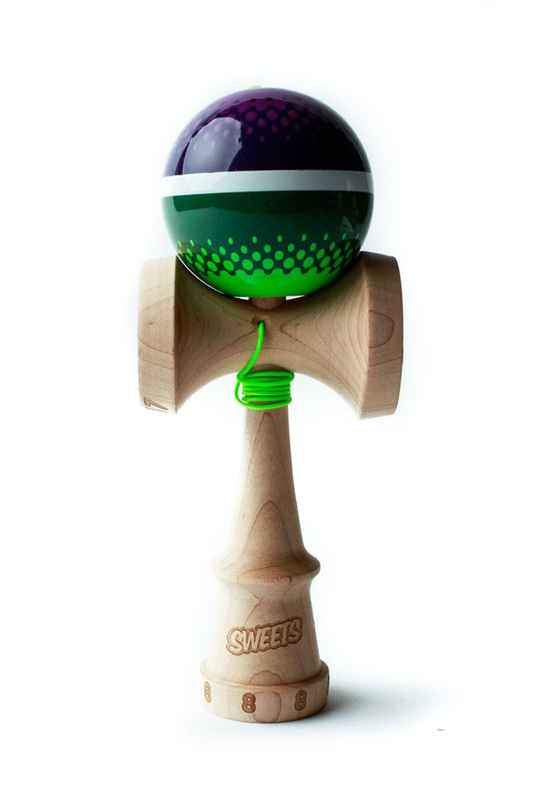 Inspired Design When designing his Champ Mod, So was inspired by 2 of his favorite kendamas. The OG Willie P Pro Mod, and the most recent Matt Sweets Pro Mod. Our design team worked with So to create a unique tama that paid homage to those designs, but was uniquely his own. PRIME STICKY CLEAR Our high-gloss Prime Sticky Clear provides competition ready tack in all conditions. HARDWOOD DURABILITY Our latest and greatest Prime Ken made of high quality hard wood Maple provides outstanding balance, increased durability, and crispy clicks and clacks. BY DESIGN PLAYABILITY The Prime Kens larger cups and heavier perimeter allow for exceptional lunar balance and increased gunslinger and ken-flip whip. EXTRAS: Colored string and metal bearing bead for perfect string control. Special Edition Packaging and Sticker Sheets. Player Designed, Special Edition KWC Engravings.